According to a report by TechCrunch, Apple is looking to invest something between $400 and $500 Million to acquire Anobit, an Israel based flash storage maker. 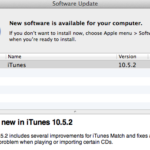 This will be the first acquisition by Apple with Tim Cook as CEO, if Hebrew reporter Calcalist’s story checks out. 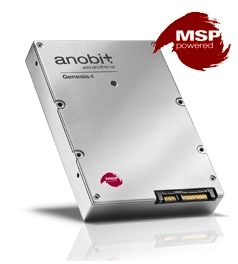 Anobit specializes in flash storage solutions for enterprise and mobile markets and making them cheap and reliable using its proprietary technology called MSP i.e Memory Signal Processing. For Apple, the Anobit acquisition would be bigger than any since the 1997 purchase of NeXT for $404 million that also brought back Steve Jobs. Apple is likely interested in Anobit for its MSP-powered MSP20xx embedded flash controllers for smartphones and tablet computers, which can significantly boost memory performance. Last August, Anobit announced that it had shipped a remarkable 20 million of said flash controllers. Anobit does not publish a list of customers or references, but says its clients are among the world’s leading flash manufacturers, consumer electronics vendors and storage system providers. If the acquisition does go ahead as planned, Apple will not only be able to control the performance of their flash-based iOS devices and MacBooks but also significantly reduce consumer prices since flash chips are among one of the biggest cost drivers.